We know you’re looking forward to spring’s warm, sunny days, but there’s still a few weeks of winter left. Here are a few ideas to keep you busy until that Colorado snow is completely melted. • Discover solitude atop one of North America’s tallest dunes at Great Sand Dunes. • See why Black Canyon of the Gunnison is considered a dark-sky site with very little light pollution, perfect for winter-sky stargazing. 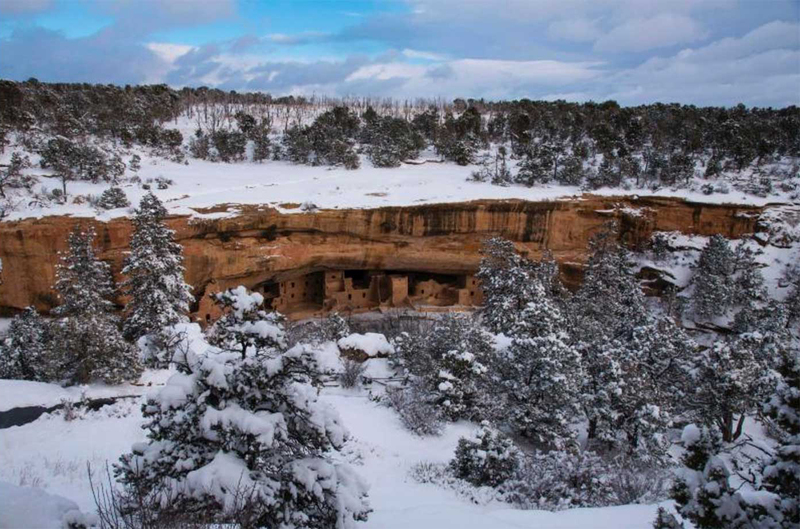 • Imagine what life was like for the Ancestral Puebloans who called Mesa Verde home — and see how their ingenious cliff dwellings shielded them from winter storms. • Take a ranger-led snowshoe ecology walk through Rocky Mountain National Park’s subalpine forest (January through March). Read more about our four national parks and eight national monuments. The end of March and beginning of April typically offer some of the most economical stays in the high-country resorts. Squeeze in a thrifty mini-vacation at a luxe, mountainside hotel you might not otherwise consider during the peak season. With all the cash you’re saving, throw in a get-yourself-ready-for-summer (read: exfoliate!) skin treatment. Find special offers. Learn about all 28 Colorado ski resorts.